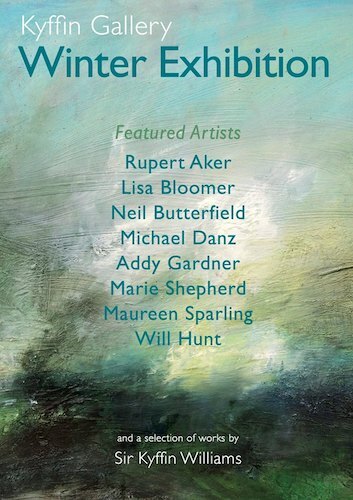 New Winter exhibition starting on the 1st February. The Kyffin Gallery was established by Roberta Condon who passed away in 2016. She named the gallery in honour of the artist Sir Kyffin Williams R.A. who she knew personally and had met on a number of occasions. The Gallery is now run by Rick Brownsill who also presents a variety of artworks, from local and national artists. The Kyffin Gallery is located in Woodstock just 8 miles northwest of Oxford. It’s the home of Blenheim Palace, excellent hotels, pubs and restaurants as well as art galleries and independent shops.